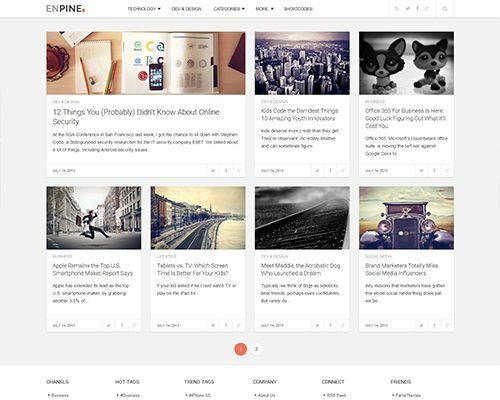 Choose the best WordPress theme for your blog from this list of 45! The Internet has entirely changed the way we think about things, and there is barely any place where the internet has not put its mark. Ranging from gadgets that we use to ease our day to day life to getting our daily dose of information through news websites, there is hardly anything that in some way is not dependent on the internet. So, it is to no surprise that people are sharing their stories, thoughts, products, services and almost everything in between through the internet. One of the most resorted to means of sharing such information remains blogs, blogs that have the necessary features and focus on highlighting the most important part of your blog, that is, the content. WordPress has also left no stone unturned when it comes to providing the best solution for bloggers by not only providing the best content management system but also an availing plethora of theme choices. There are hundreds of WordPress blog themes available that have been precisely made to handle all the needs of a typical blog but the only problem though is that picking up the right one for your blog becomes a little hard, especially when there are so many of them. In this post, we have tried to alleviate that problem by providing you with a comprehensive list of one 45 Best Blog WordPress themes, one of which you will sure find great enough to make your blog content shine. 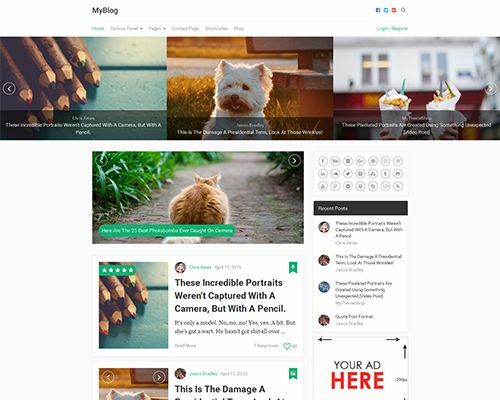 If your goal is to run a serious blog without compromising on essential features and elegant design, then MyBlog is the one you should try. The theme has all the essential elements to elevate the overall quality of your content while your blog looks extremely professional. It goes without saying that even the passionate bloggers somewhere down the line have to think about monetizing their blog, and when it comes to that, nothing does it better than Ad-Sense. It is the most ad-friendly theme available in the market and comes bundled with features like better ad management, ad placement, ad blocker detection and content locking for ad block users. If you are a big fan of Apple website, then float has got you covered with its parallax scrolling and overlapping design, making everything look that much more elegant. You can import your pre-made layout or design with Themify’s drag and drop builder without having to type in a single line of code. 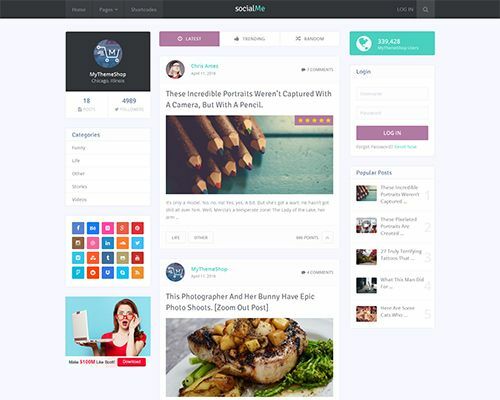 With this theme, all you will have to care about is creating awesome content, rest everything will be taken care of from this effective and elegant theme. 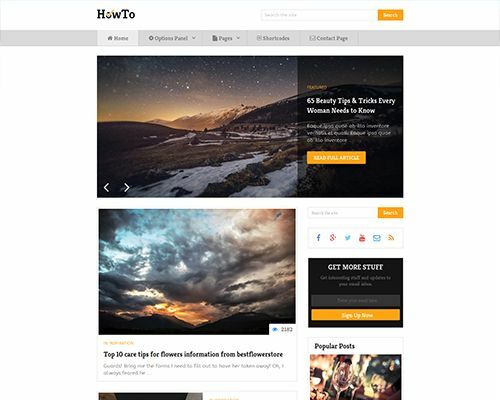 The theme works equally great for serious bloggers, writers and designers. This theme is inbuilt with super sleek design elements that in combination with search engine optimization and microdata integration that will make your content rank higher on search engine results page. On top of all that the theme is super mobile friendly that makes it look great on every mobile device. Uberto, another theme that keeps everything straightforward and functional so that the main focus remains on the most important part of your website that is the content. 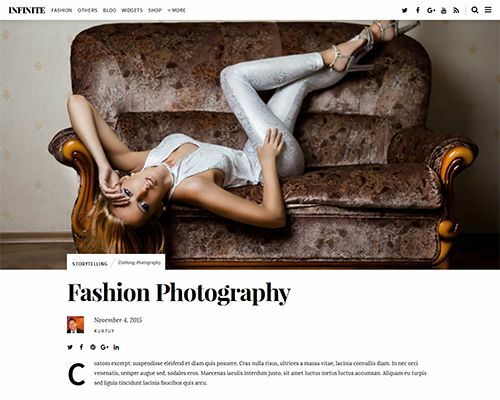 This one is a fashionable theme that can be used for blogging, magazine or newspaper designed websites. 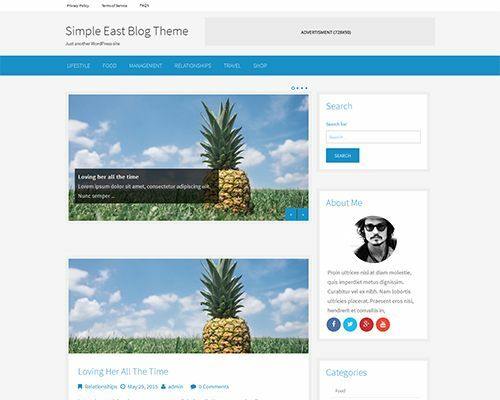 The overall design of the theme is particularly suitable for bloggers due to its white and clean design. 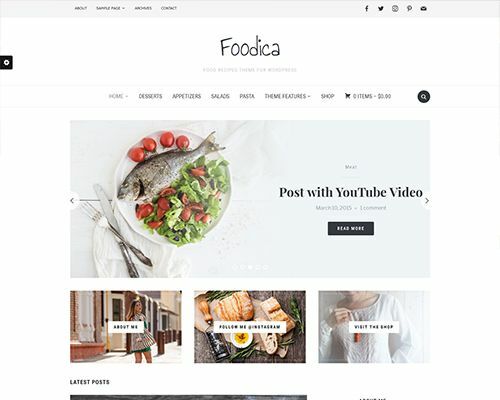 As the name suggests, this theme is perfect for creating food based blogs, magazines and recipe websites. 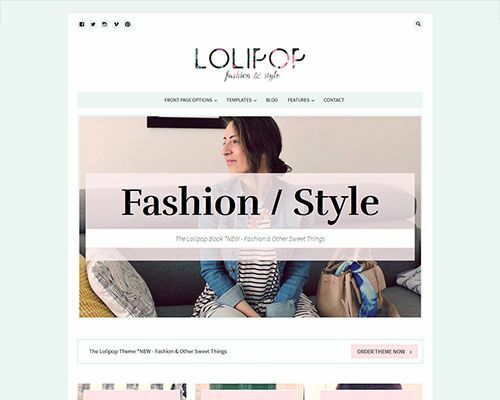 The theme offers six color schemes, a beautiful featured slider and carousel plus WooCommerce integration that makes it a complete package for any blog or website for that matter. 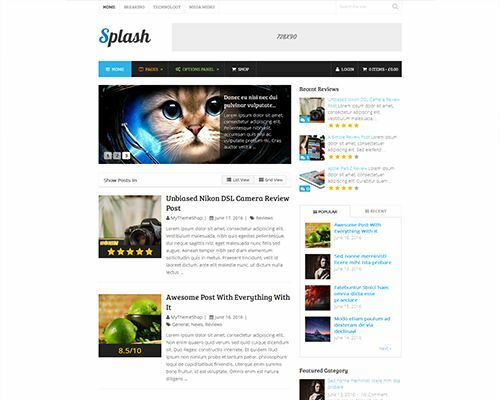 Designed for blogging and to maximize content impact, Splash will help you to take your blog to the next level while keeping everything pleasing and subtle. 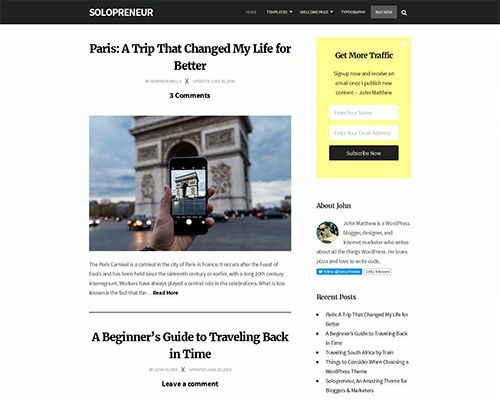 Standout from the rest of the competition with this theme that is bound to attract attention with its exquisite design created especially for writers who are into personal blogging. This one gives new meaning to elegance by taking away all the focus from animations and other typical redundant features of a typical theme and instead puts the focus right where it should be, that is, the content. A minimal design and great attention to typography along with other unique features are only some of the things that will make your content shine. 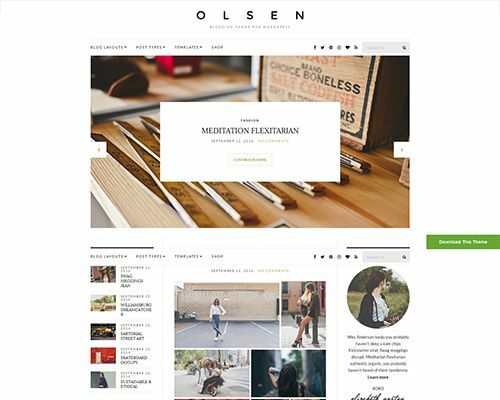 Guaranteeing the smoothest reading experience, Olsen is a theme for lifestyle and fashion bloggers and will give your blog that extra edge that it needs to surpass the rest of the competition. Build an active community and keep your audience engaged in your content with this impeccable theme that is perfect for creating social-media heavy content. 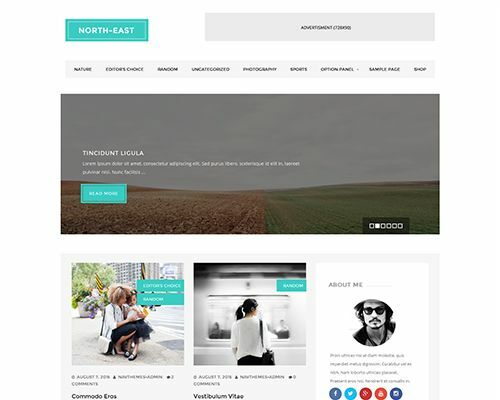 North East is a fantastic travel blog theme that embeds all the essential SEO practices into your blog so that your content ranks higher on search engine results page. 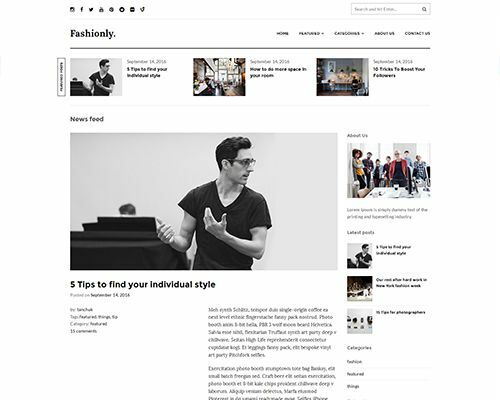 The theme promises to leave an everlasting impression on your readers with its premium style and layouts. A fully responsive theme that looks equally great on all the devices, including smartphones and tablets. This is furthered by the theme’s pixel perfect design and awesome typography and a magazine style that makes your content more manageable and able to attract more visitors. 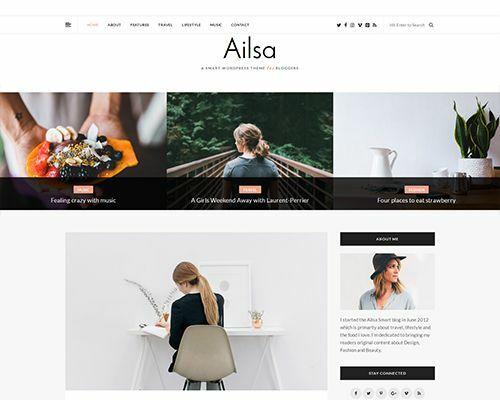 Ailsa is an impeccable integration of style, and amazing live blogging experience features that you can customize to make your website much better for sharing great ideas. The best part of this theme is its infinite scrolling that loads content seamlessly as your visitors scroll down the page, this eventually translates into better content engagement. 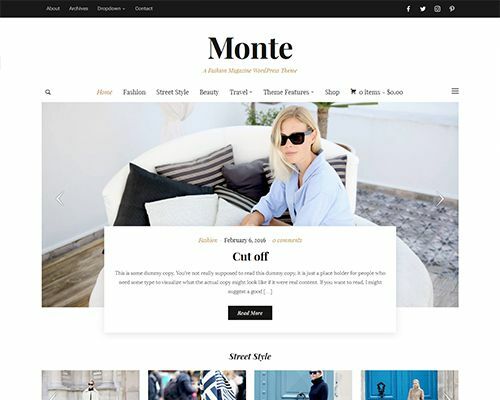 Also, the theme also packs in other advanced features like a sticky header, banner ad spots, slide-out widgets, and WooCommerce integration that all work together to give you a powerful yet minimal blogging theme. 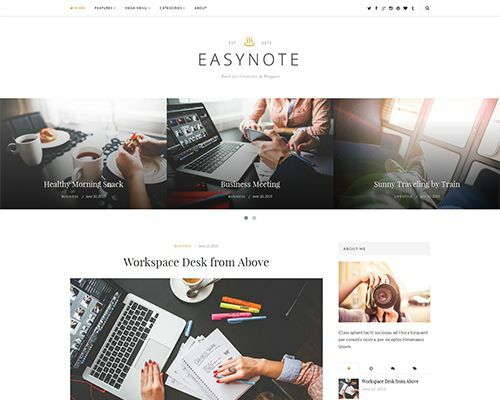 A perfect theme for writers, bloggers and marketers with awesome typography, fully responsive design and a clean and elegant layout that focuses on each single post. 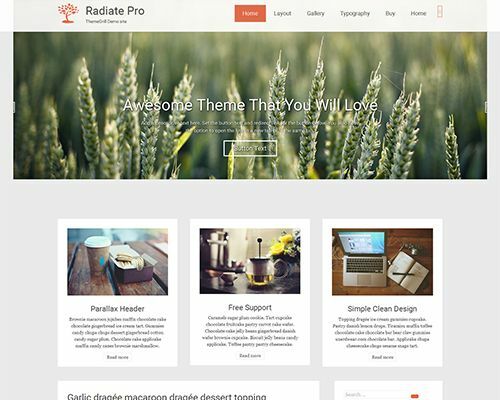 An extremely easy to setup theme with unlimited color schemes on top of a great theme options panel that allows you to customize each and every aspect of your website. The theme is overall very modern, smart, and classic. If you are a serious blogger, you might be familiar with the fact that the most important part of blogging is to create an authoritative content that speaks volumes about its trustworthiness. Authority is the theme that does just that and will help you to build trust and authority in any niche. This Candid theme will take the style quotient of your website to next level, and while it does so, you do not lose in any way concerning traffic from search engines, thanks to its functional search engine optimization. 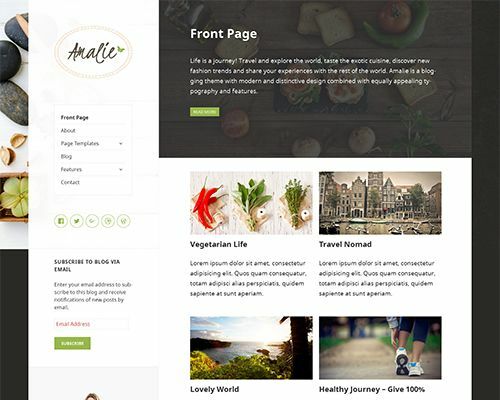 Packed with inbuilt portfolio and WooCommerce support, this theme will not only work as an active blog but also as an excellent means of selling products and services. 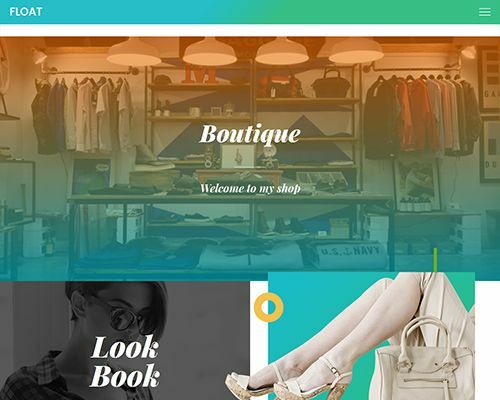 The theme is fully responsive and will thus help you to showcase your products across all devices. 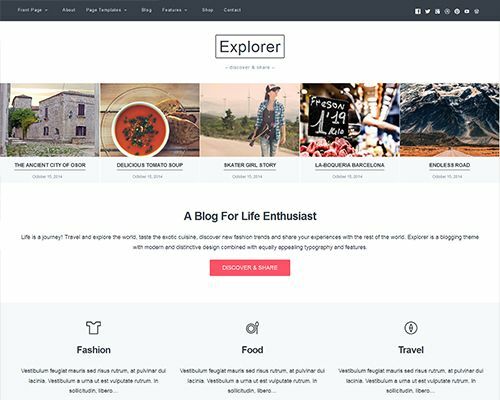 Aimed at bloggers with an eye for awesome design, this one is one of those themes that just get the job done without engaging you in all the unnecessary technicalities of a common blogging WordPress theme. This theme, as is quite suggestive by its name, is based on the latest Flat design trend that these days followed by Windows, Android, and even Apple’s iOS7. Unique layout options are the strongest pros of this theme that is equal parts elegance and functionality. The theme is very pleasing to look at and fully responsive and thus particularly suited for magazine and news websites. Inspired from Pinterest, this masonry style theme takes all the design elements and psychological triggers of the all familiar Pinterest and therefore allows you to engage better your visitors in whatever you are offering. HowTo will show you exactly how to manage a content rich website without having to type in a single line of code. The theme provides amazing reading experience with its layouts, navigation system, responsiveness and readability optimizations. 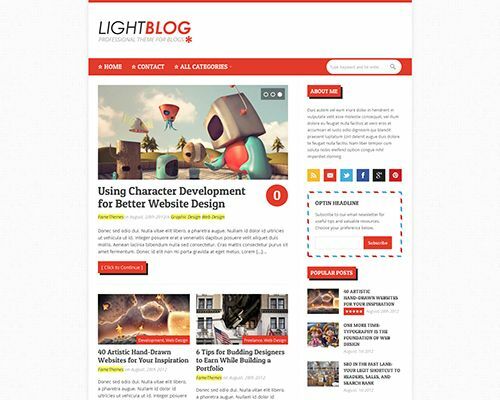 Highlight your latest products and build a loyal readership while at it with this impeccable blogging theme that offers two high-converting landing pages able to highlight all your content in an impressive way. 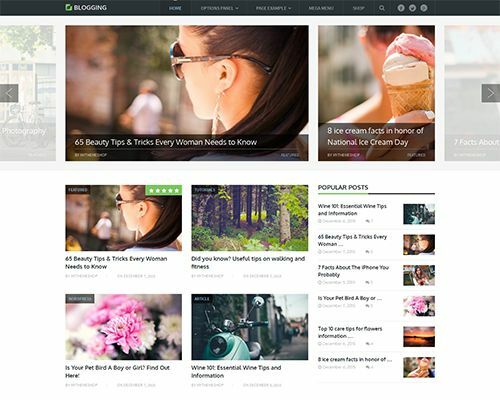 Make your blog look more than just a regular blog with the features that this theme offers, some of them being a huge featured area and a carousel. 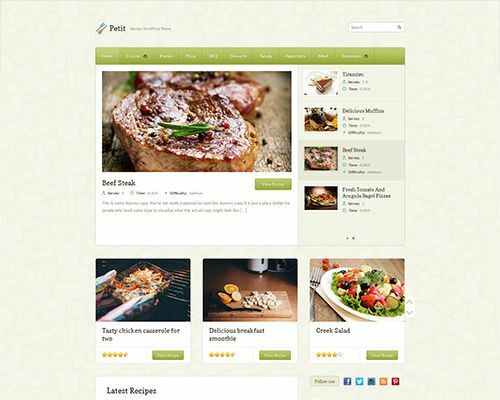 The theme is ideally suited for recipe websites but provides enough flexibility to be used for anything else. This theme won’t get in the way of you, and your content and all you will need to worry about if you use this theme are the content, rest everything will be taken care of by this spacious and bright blogging theme. 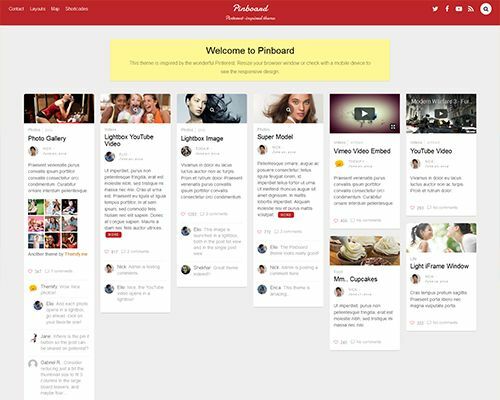 Another Pinterest styled theme that takes a cue from all the design embellishments and triggers of Pinterest and converts theme into something tangible and readily accessible. 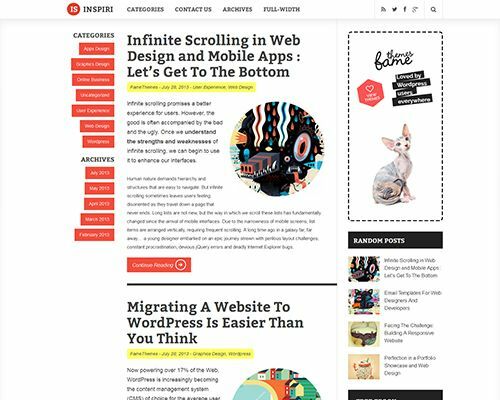 The theme features infinite scrolls for maximum content impact on top of stacking layout that works perfectly and responsively on any device resolution. The most laudable feature of this theme that can attract more visitors to your site is its homepage recent post grid display. 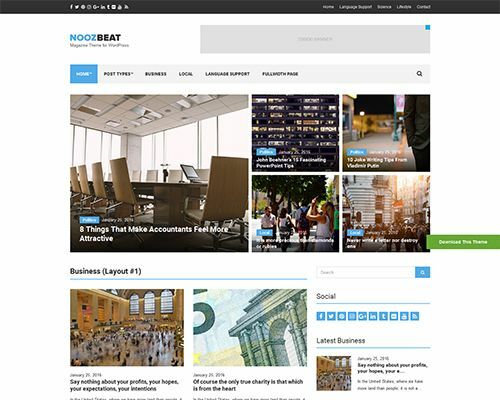 The theme offers a distinctive minimalistic style that is great for content writers and other similar professionals. 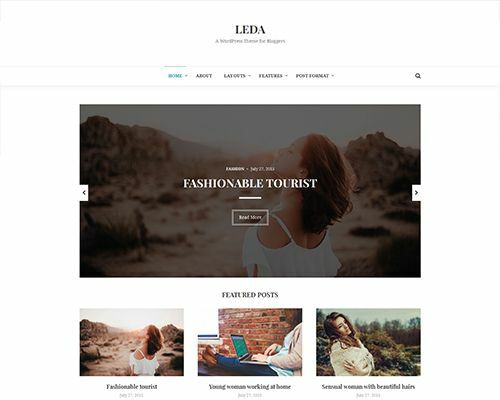 This one will accentuate the overall quality of your content that you want to put up on your youthful travel or fashion blog. 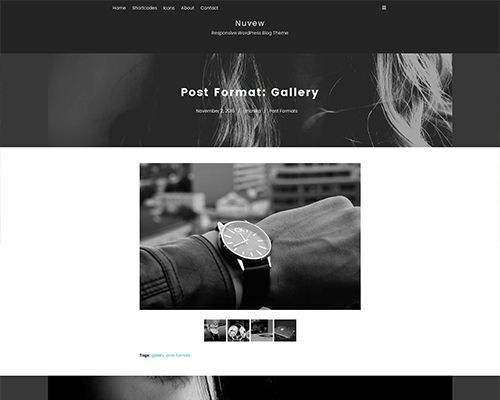 The theme is unique looking with a modern and versatile layout. If you have to deal with heavy content and still want to maintain the quality of your blog, the Blogging is the right one for you. The theme uses latest technologies like HTML5, CSS3 markup and custom widgets that make building a successful blog effortless. 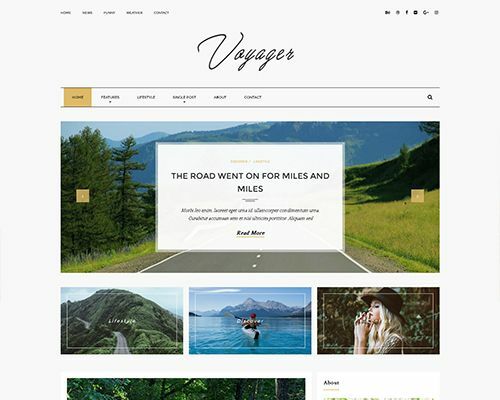 Voyager is an elegant lifestyle blog theme designed specifically for people who like to travel, explore new places, and be part of new adventures and share all the experiences with the entire world. 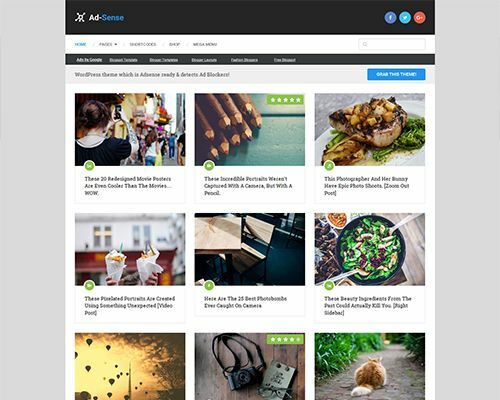 The theme also boasts a popular posts section in the sidebar and view counts in post section for high conversion rates. 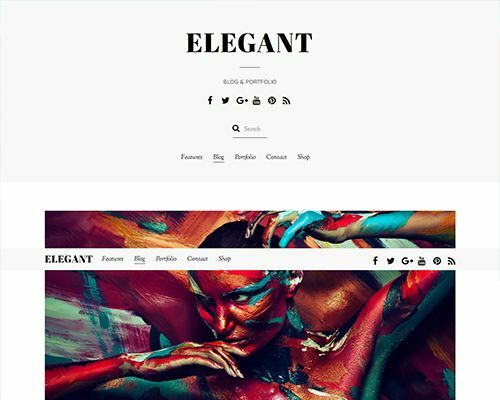 This theme guarantees the smoothest reading experience and looks stunning on lifestyle and fashion blogs. 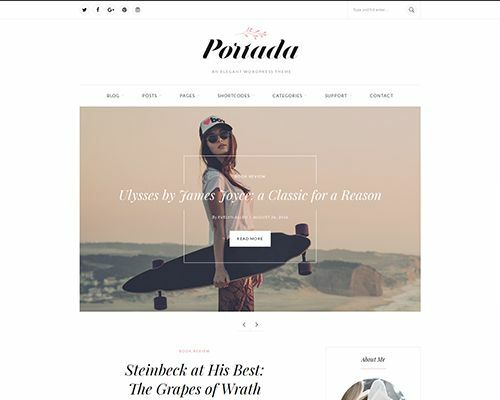 Portada is packed with customization options that will present your content with a modern and elegant style. The theme is light and aesthetic and is thus perfect for book lovers. It also fits lifestyle and fashion bloggers, stylish female entrepreneurs, or just business or personal blogging. 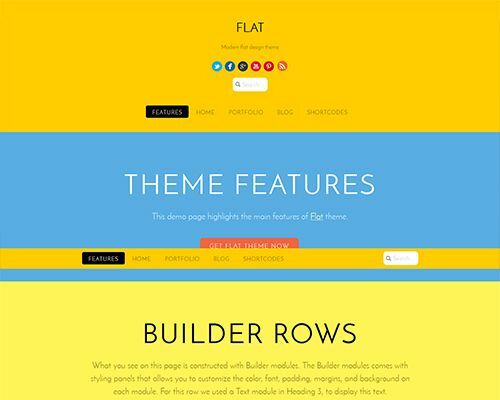 This theme perfectly integrates primary colors, custom backgrounds, custom CSS, and some other features directly through the all familiar WordPress customizer. 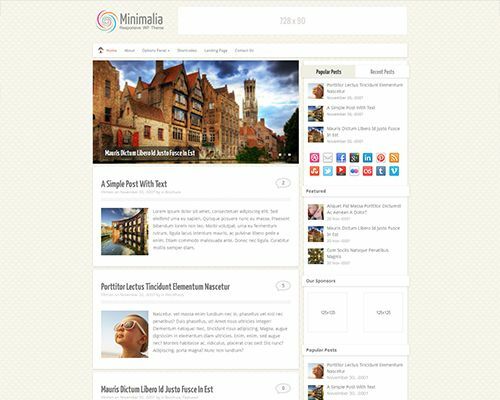 The theme is overall very clean, creative and retina ready responsive blogging theme supporting the powerful parallax header image. 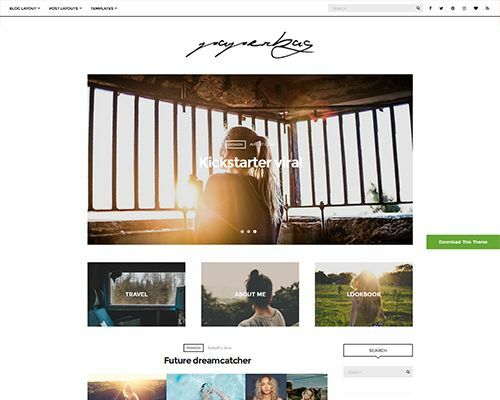 Based on the popular Twenty Fifteen design, this theme takes all the great things about those design trends and functionality and converts them into something unique. 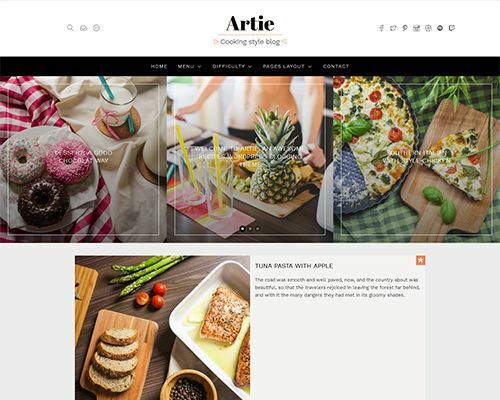 Artie is great for content rich themes and comes with crafted design and very easy to setup options to style your blog just the way you want. 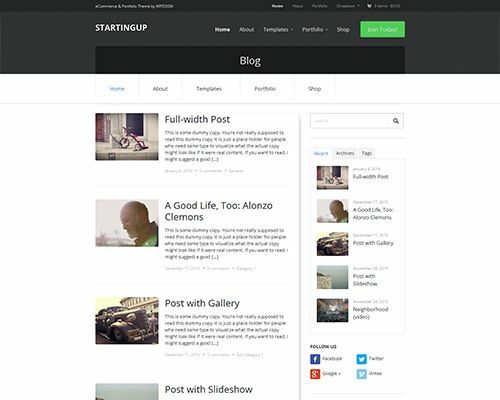 The theme also supports many post formats and also features your most important posts by making them sticky. 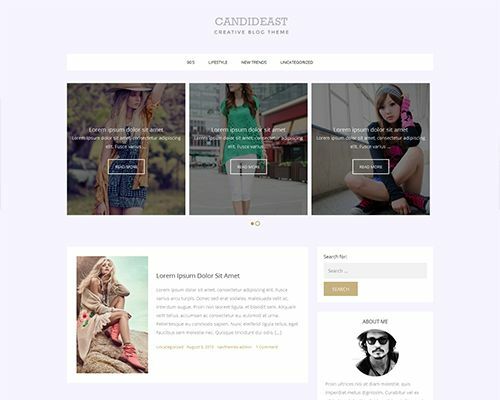 Guaranteeing the smoothest reading experience this theme has been carefully crafted for lifestyle and fashion bloggers. 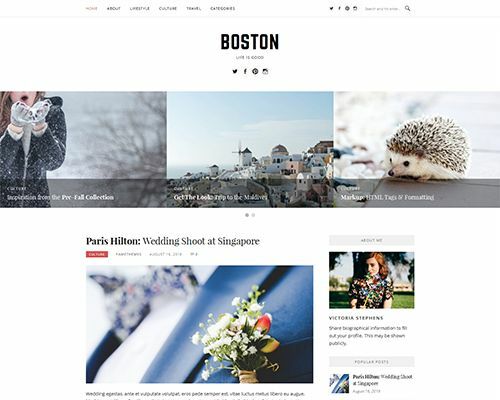 Boston Pro has been designed to cater to all your writing needs, whether you want to share your thoughts or you just want to pen down your recent experience. This theme is very easy-on-the-eye and blends some nice features and unique characters into your blog. 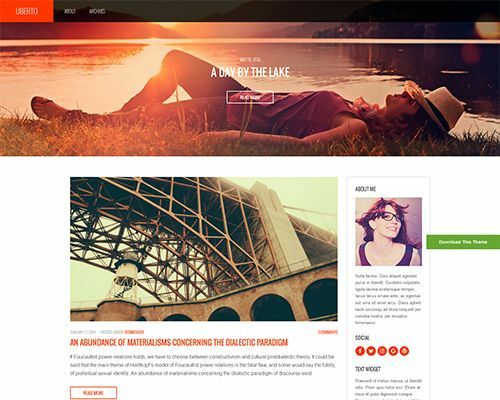 The theme provides you with some custom templates that open up many possibilities to create unique looking individual pages featuring different content. As the name suggests, this one is an entirely minimalistic theme. It perfectly combines the powerful, awesome functionality and aesthetics to keep the focus right where it should be, that is, the content. 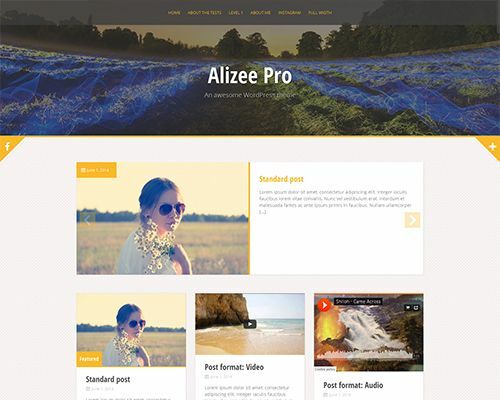 Feature packed with all the advanced features, this theme is ideal for people looking forward to building an attractive and engaging website. Sunalini Rana is a working mom, who left her stable career as a human resources manager to pursue her dream of becoming a professional blogger. She’s self-taught in web design and photography, and always loves learning new things and helping others along the way. Check out her website here. 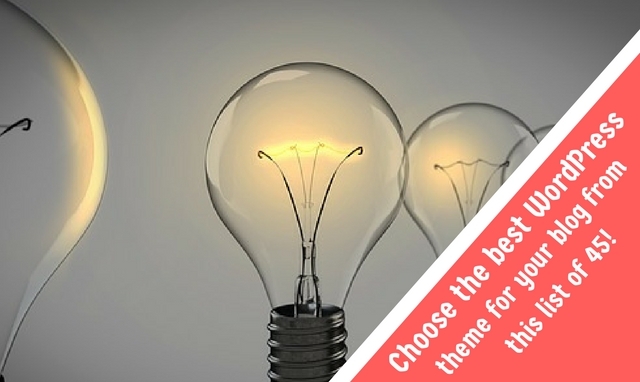 These are the most themes for your blog, based on the category you can select themes for your blog. I am WordPress user. Thanks for list of themes.